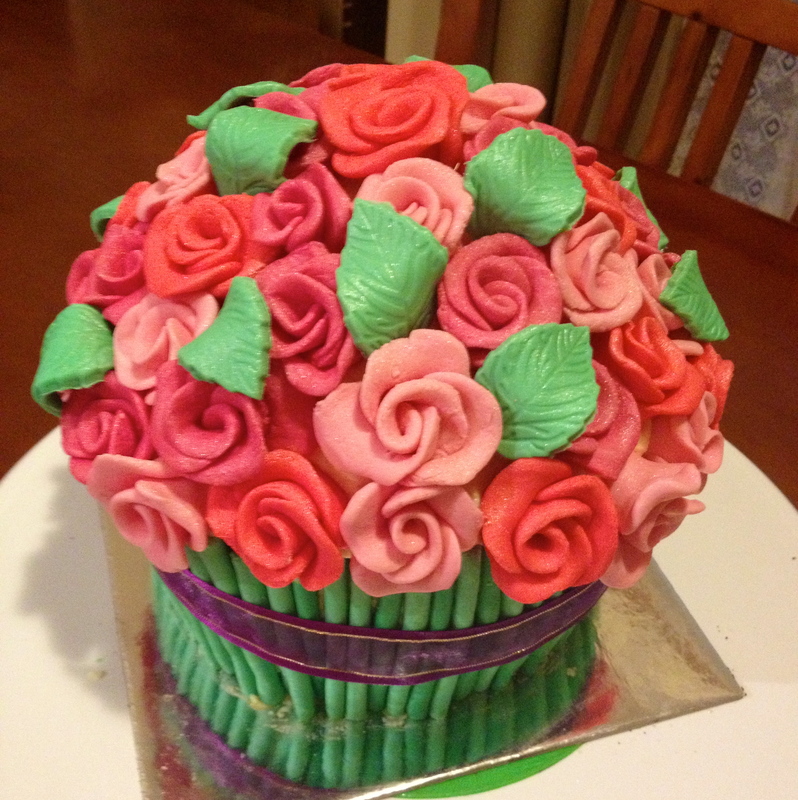 The cake above is the giant cupcake of roses. This cake was made for eldest daughter’s birthday a few days ago. It is chocolate cake (of course). Admittedly she did want a henna inspired cake. However due to an record breaking heat wave we’re experiencing in Melbourne presently it is hard enough to try and crumb coat without everything melting, let alone doing piping work. So decided to get the fondant out. 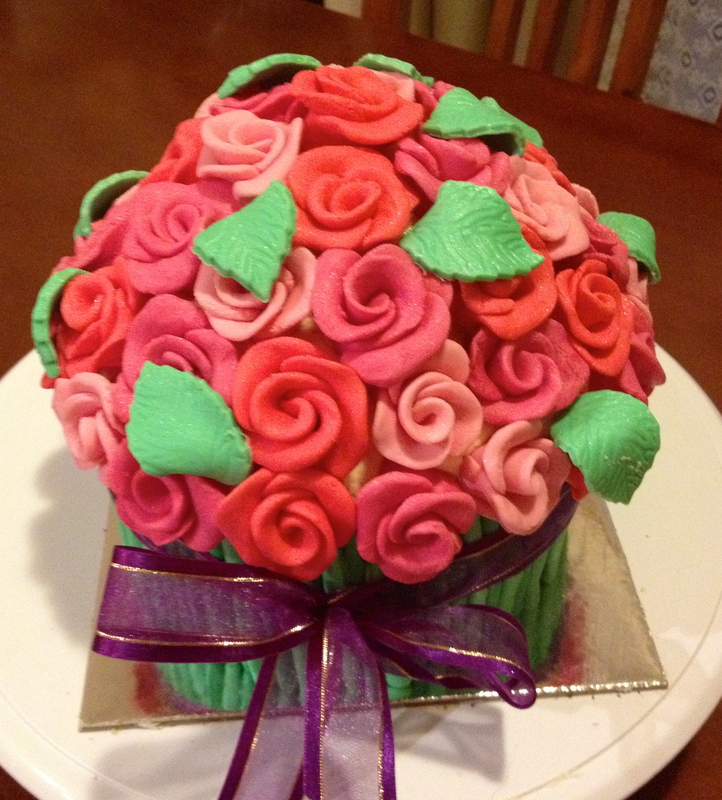 I started just playing around with roses, and ended up with 50 of them, I then placed them randomly on top of the cake. My daughter’s friend who came to the house for a birthday sleepover had the very important job of making the leaves to finish the cake off. The last touch was a little lustre spray. 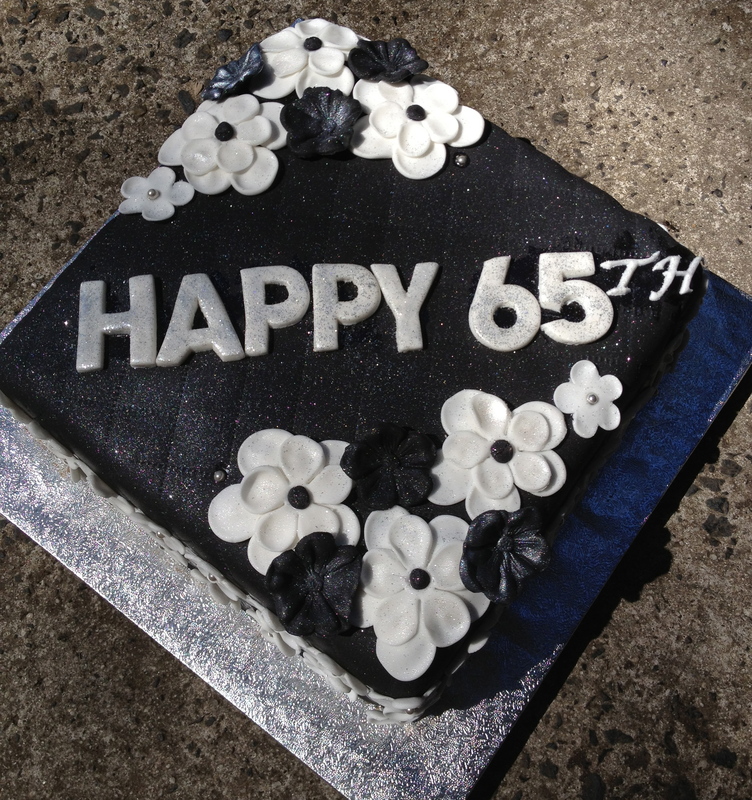 This 65th Birthday/retirement cake was for our neighbour. His wife wanted to surprise him with a proper cake, and not one from a shop. It was chocolate orange, as this was his favourite flavour, other than that I had free reign, but decided to keep it simple and classic using black and white. 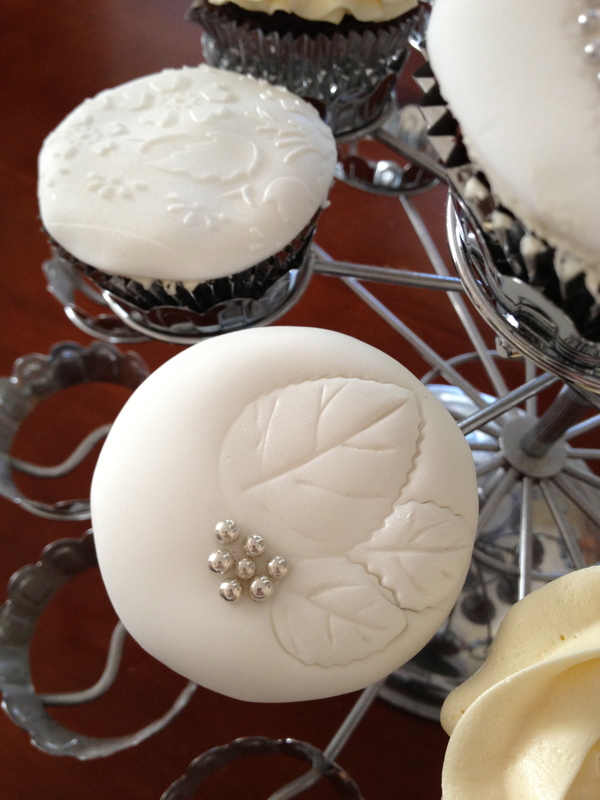 Along the outside of the cake is a border of white fondant flowers with little silver balls. Not only did I get to make the cake, but I also got invited to the party, where my girls spent the rest of the day playing and having fun making new friends. I had 2 very tired bunnies by the end of the day. 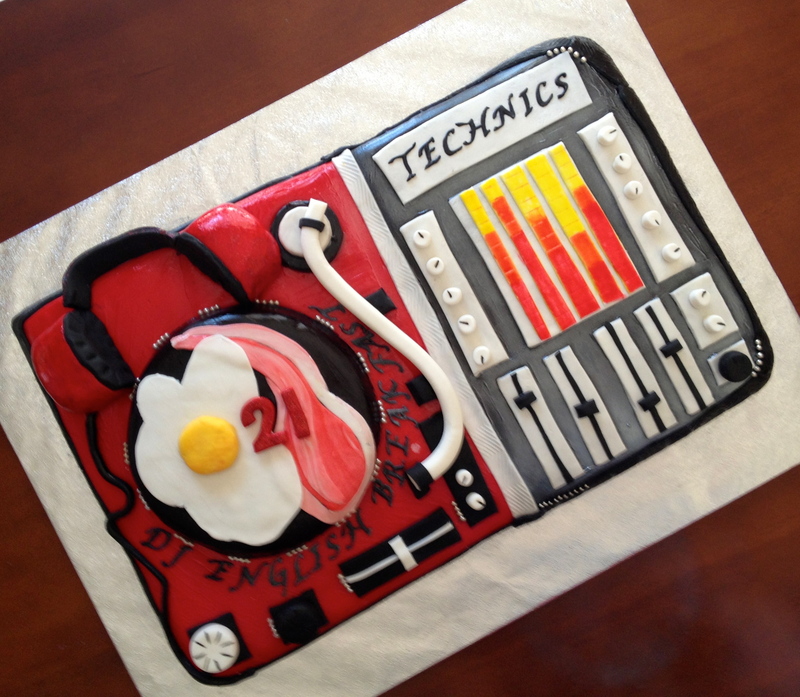 The next cake, is for DJ English Breakfast, he was turning 21. His Mum decided to commission a turntable cake. Once I realised what his DJ name was, I had no option but to make bacon and eggs. This is probably the most detailed cake I’ve done in fondant so far. I hear on the grapevine that the cake went down very well, and his friends all took photos as they hadn’t seen a cake quite like it before. Not only that, but DJ English Breakfast’s younger brother now wants a turntable cake for his birthday in August. 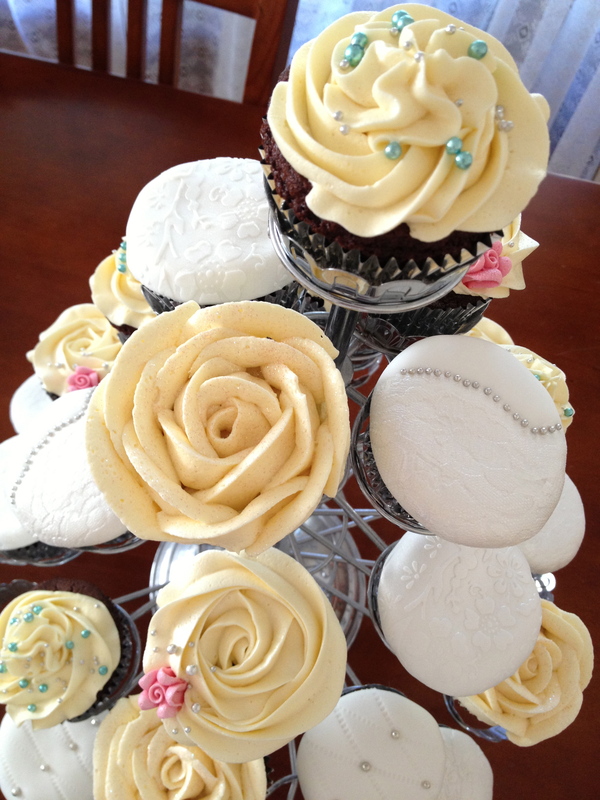 Last but certainly not least, I decided to make some cupcakes for us to have at home. As it’s been a while since I made any cupcakes. 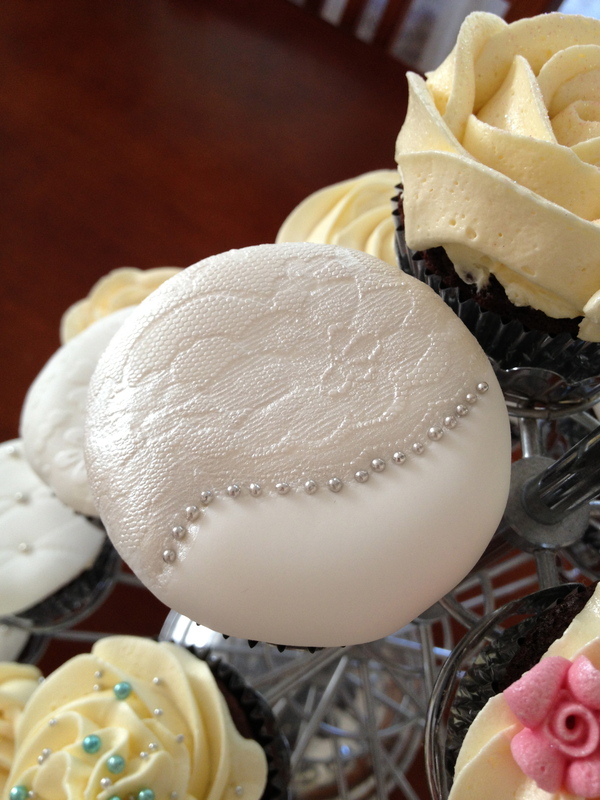 I wanted to practice my lace techniques, before incorporating the technique in the wedding cake for our renewal of vows in April. Looking back, I’ve just realised how busy I have been over the past few weeks. 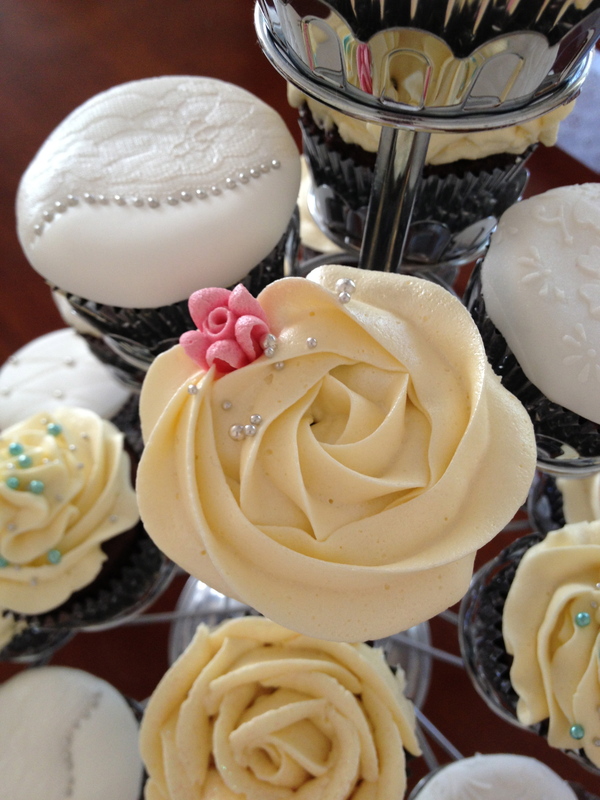 The last job I have to do is prepare some glittery flowers for class cupcakes that I have to deliver this week. My girls will no doubt be covered in glitter by the end of the day. In fact I imagine that I will find glitter everywhere over the next few days. You’d be amazed just how far it spreads!